Australia’s favourite tenor, David Hobson, is back with an exquisite new album. The long-awaited sequel to best-selling album Enchanted Way is here… Endless Days will carry you across the seas to a time where love is sought, lost and found. Produced by Chong Lim (Dancing with the Stars), songs such as ‘Wild Mountain Thyme’, ‘Spanish Lady’. ‘Blood of Eden’ and ‘Ae Fond Kiss’ are bound to enchant and delight. With great new arrangements by David himself (the singing star also happens to be an award-winning composer) the album includes traditional Celtic favourites like ‘Carrickfergus’, ‘Suo Gan’ and ‘My Love is Like a Red, Red Rose’ alongside classic ballads like ‘Shenendoah’ and ‘500 Miles’ – as well as toe-tapping tunes like ‘Mountains of Mourne’ that will make anyone feel like a Guinness or two. 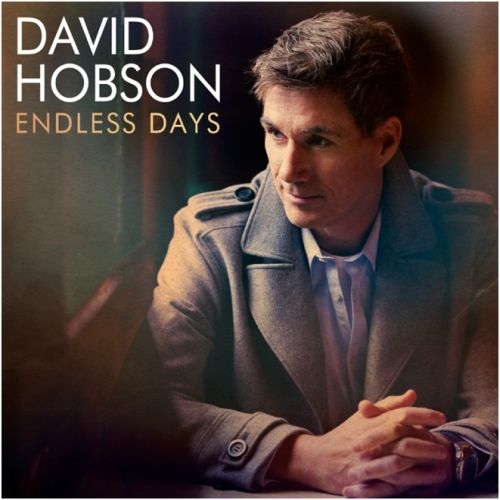 Guaranteed to inspire and captivate, this is the best of David Hobson yet. Australian tenor and composer David Hobson is one of Australia’s best known operatic and recording artists. Mentor to model and TV host Erika Heynatz when they won the Seven Network reality singing show It Takes Two in 2006, he returned in the 2007 season to partner celebrity Mimi Macpherson. In late 2007 Hobson appeared in Dancing with the Stars Series 7, finishing in third place with his mentor, Karina Schembri. In 2008 he resumed his more familiar role of mentor to win It Takes Two Series 3, with Julia Morris.